Coworking is the new normal and it’s here to stay. Coworking has evolved from the gathering place of startups and freelancers to the workplace of choice of professionals across industries and countries. 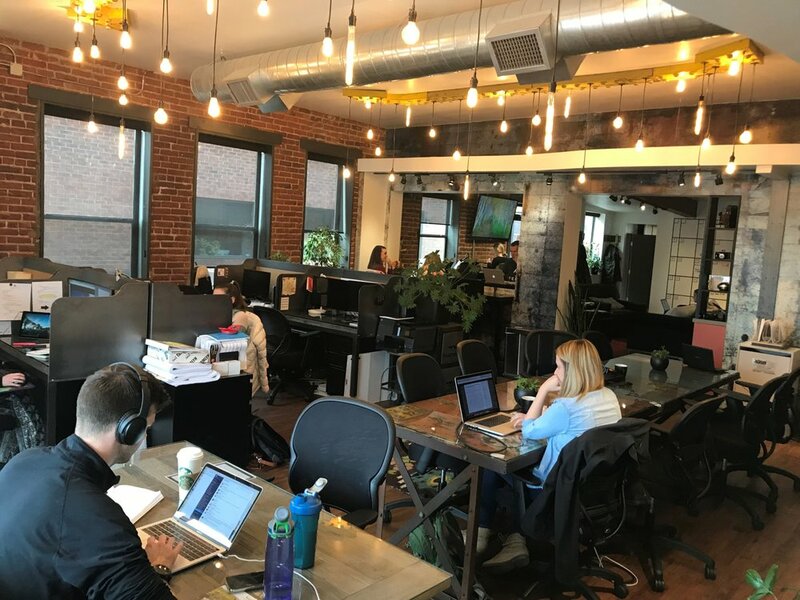 Large corporations are now using coworking, landlords are delving into the flexible workspace industry, and investors continue to place their money on the industry. It all points in one direction: coworking is growing and its disrupting the world of traditional CRE. Coworking today looks very different from the coworking of the mid 2000s, which means that the coworking of the future is likely to look different from coworking today. Coworking spaces will lean towards private spaces. Coworking started are purely open space, however since then it’s evolved into a hybrid model that provides both private and shared workspace areas. In the future, more coworking operators will lean towards offering more private space to meet the needs and demands from large corporates who value privacy and branding. Coworking will continue to be tech-savvy. Most coworking spaces today are equipped with the latest technology. Some offer 24/7 keyless access, some have smart lighting, most offer audio and video conferencing equipment, some have launched their own mobile apps or web platforms, etc. In the future, coworking will continue to improve its service offering by incorporating new technologies that will help users and operators optimize the way they design and use space. Coworking will be wellness. Today people are starting to become more aware of how the workplace affects a person’s wellbeing. In the future, coworking spaces will center on the human experience, making sure that each and every element of the space contribute to wellness and the workplace experience. Coworking will be about facilitating connections and learning. Coworking spaces will become hubs where people go to meet others, make connections, and learn. This will also lead to industry-specific spaces to make sure the the people that meet in a certain place add value to each other. Coworking will consolidate. Current estimates predict that there will be over 24,306 coworking spaces by 2020. In the US and the UK the majority of these are independently owned and operated. In the future, the industry will begin to consolidate, larger regional players will acquire local operators to create a regional or global hub of spaces. Coworking will be everywhere. By this we mean that coworking will be in most countries, but also that you will find coworking spaces in all sorts of buildings. New buildings, old buildings, airports, hotels, malls, corporate headquarters, banks, etc. If you’re interested in delving into the industry and would like more information on how to navigate the world of coworking, feel free to reach out.